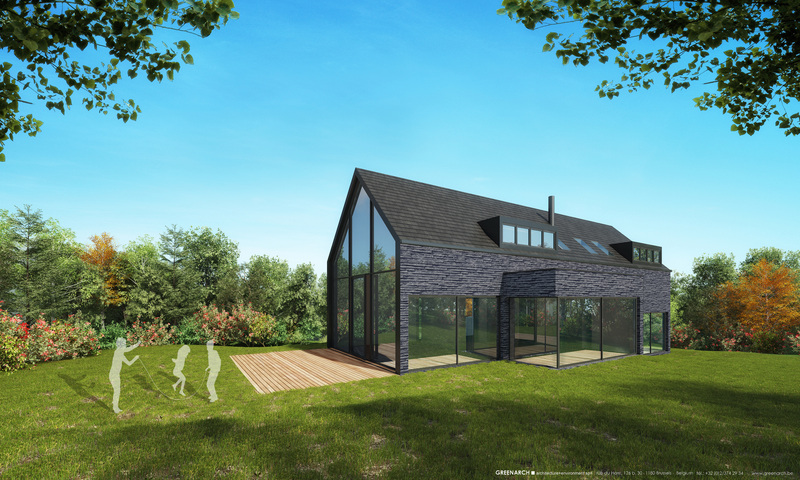 The client who lived in the house next to this unbuilt area avenue Mostinck wanted to design a house in order to sell the property. Located behind the street houses and against the Woluwe park (Natura 2000 green park protected), the land is very well located. The house is designed to meet all authorities and regulations requirements on a contemporary style. The views on the green park and the inner space distribution were created to allow natural light to spread into this 3 room’s house. The materials were also carefully chosen to meet the requirement with a low energy target.